Ready to improve the health and safety at your school? electronic health record system for schools! Designed by school nurses and directors, our secure, easy-to-use web-based solution manages health forms, allergies, medications and illness/injury tracking for your school throughout the school year. 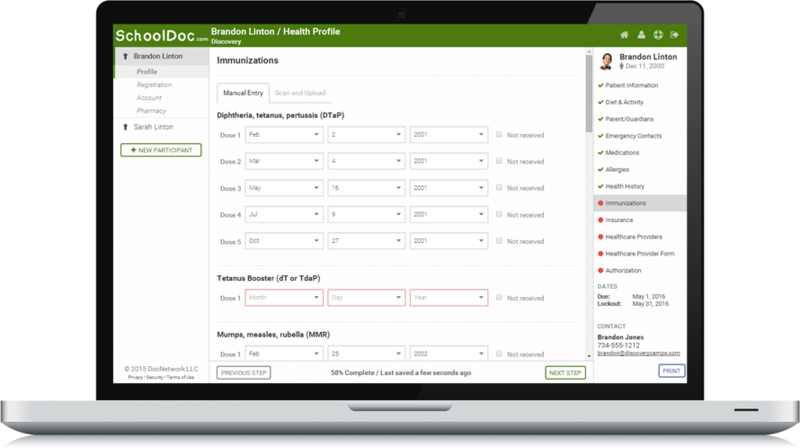 SchoolDoc.com can provide school health staff instant access to vital medical information, decrease the time and energy spent during initial student check-in, reduce risk and liability, and help keep safety in the forefront of school operations. Health Forms. Higher quality documentation that is legible and organized, with reminder notifications will make your school clinic more efficient and avoid mistakes. Allergies/Medications. Allergy reports and our Electronic Medication Administration Record (eMAR) helps reduce errors. Illness/Injury Health Log. 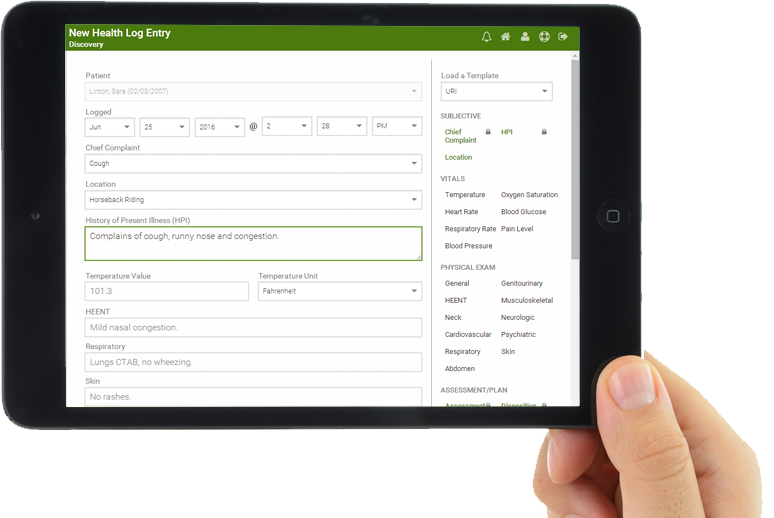 Log clinic visits electronically, review statistics and analyze illnesses/injuries in real-time. Reports. Create a report for any piece of data you collect. Print or download your reports in multiple formats. Notes, Reviews, Tags. Many more incredible features to help keep safety in the forefront of school operations. Free. No additional cost to the school, with no setup fees or monthly fees to use the service. Simple. No limit to the number of sessions or programs that can be included. Payment Plans. Give families the option to setup a payment plan to pay their balance off over time. Reminders. Automatically send customized confirmation email receipts and balance reminder emails. Add-Ons, Coupons, Donations and Waitlists. Process all major credit cards and electronic checks online, and provide refunds directly through the system. A diverse group K-12 public, private, magnet, charter and boarding schools, as well as colleges, universities, pre-K, before and after school care, and summer programs have reduced risk, improved efficiency and maximized safety at their schools! Call 734.629.5900 so we can answer all of your questions, explain our systems in more detail, and set you up with a free demo! 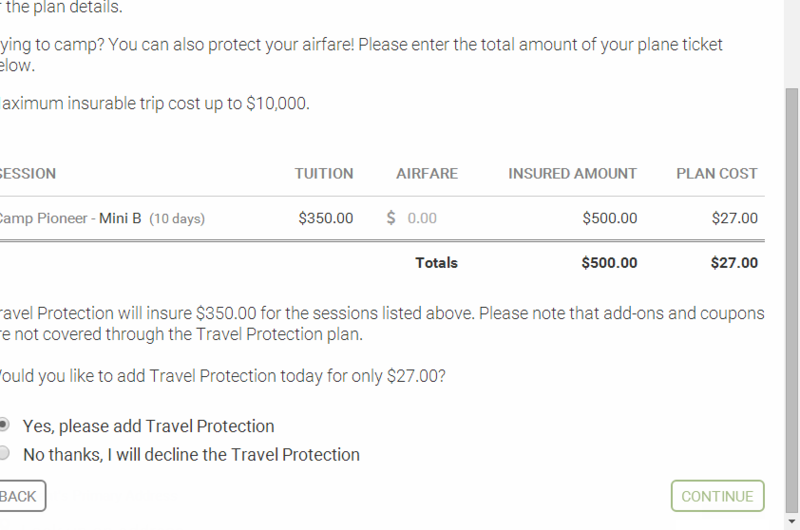 What happens to pre‐paid deposits or non‐refundable travel arrangements if a student needs to cancel? What if a student breaks an arm in the wilderness and needs a helicopter evacuation? Who pays for the airfare home when a trip gets cut short? If your students attend domestic or international trips, or if you have international students without health insurance, you can offer quality coverage through SchoolDoc.com. Prepaid deposits and nonrefundable payments for students can be covered in case of cancellation or interruption, sickness/injury, or if a parent loses their job. Also cover students for emergency medical expenses during these events with first payer coverage and no deductible. 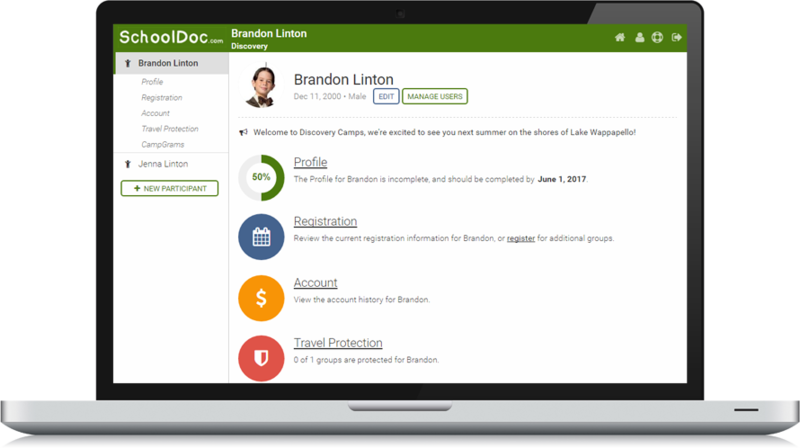 SchoolDoc.com is the leading electronic health record system for schools, offering free-online registration, and travel and emergency medical protection. Designed by school nurses and directors, our secure, easy-to-use webbased solution manages health forms, allergies/medications and illness/injury tracking.